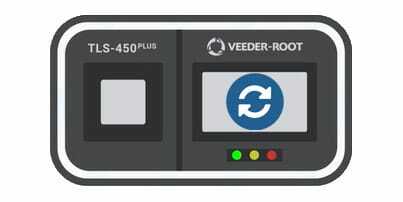 The CoreDEF STP and ISO-Probe kit can be integrated together with the TLS-450PLUS to operate seamlessly as a full system solution for DEF management. 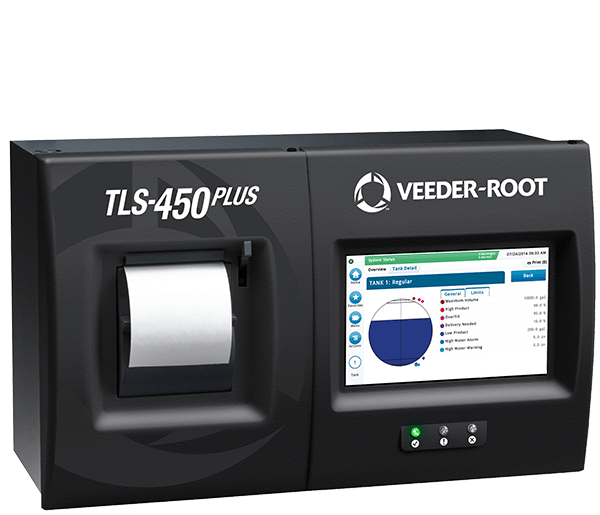 In addition to managing DEF inventory, the TLS-450PLUS ATG with DEF Recirculation Feature utilizes a temperature sensor in the product line, and input from the probe, to trigger the CoreDEF and start recirculation or other needed measures to manage product temperature. The Red Jacket CoreDEF Series of submersible pumps, is a completely customizable solution and is engineered enhance the DEF pumping experience. Various motor sizes, variable length settings, and the revolutionary adjustable pressure relief option, prepare CoreDEF for a complete range of DEF dispensing applications. Hardware construction is 100% compatible with DEF and preassembly is included to streamline installation. With rigorous factory leak testing, CoreDEF boasts the most robust “drop-in” submersible DEF solution available. Cut the stress and time out of installation and get to pumping sooner with the CoreDEF STP. The CoreDEF system features a fixed pressure relief STP for simplifying your DEF system. 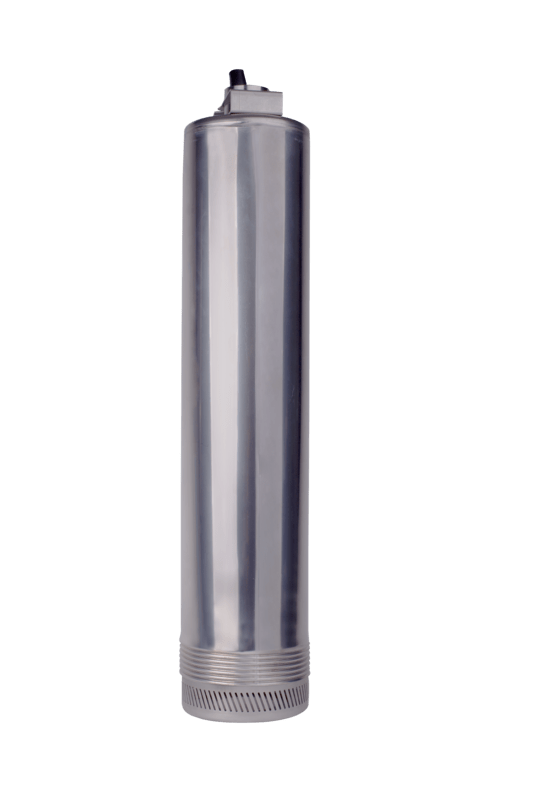 Designed to maintain line pressure at 45PSI, all necessary components are included and pre-assembled in the column pipe to make for “drop-in” installation. Red Jacket takes the time to perform advanced factory leak testing on each unit to ensure tightness and reliability before arriving to the field. Simple to specify and easy to install, the fixed pressure relief option provides exceptional performance and gets you up and running fast. The Adjustable Pressure Relief Configuration is exclusive to the Red Jacket CoreDEF STP and introduces post-installation flow adjustment to your DEF system. Diesel Exhaust Fluid has lower usage rates and is dispensed in smaller amounts, with less positions in each line, which means that the optimal flow rate for DEF fueling is only 6-8 GPM. The CoreDEF pumping solution utilizes a unique Adjustable Pressure Relief Design that adapts to the reduced requirements without sacrificing optimal throughput. From within the sump, installers can now easily calibrate line pressure to optimize operation with even the most sensitive dispensing equipment. Site operators can immediately respond to customer concerns regarding flow or pressure with adjustments from 25-40PSI. 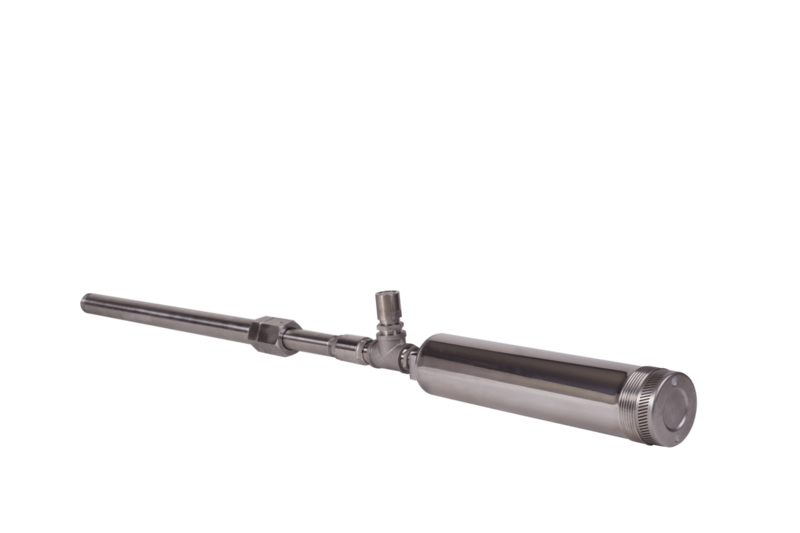 The Iso-Chem Probe kit is armored with anti-corrosive stainless steel tubing to apply the same highly accurate Magnetostrictive measurement technology in Diesel Exhaust Fluid and is compatible with all current Veeder-Root automatic tank gauge consoles. 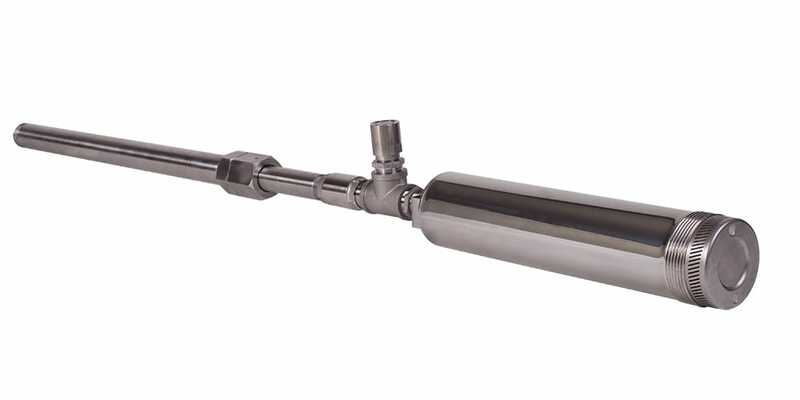 This kit allows users to remove the probe shaft from its stainless-steel jacket for maintenance at any time, while completely containing the tank’s liquid product contents. In addition to the ability to accurately measure inventory levels, this probe kit also features five-point temperature sensing, allowing for extremely accurate inventory control and optimal operation with TLS-450PLUS DEF recirculation. The Mag Plus ISO-Probe provides highly accurate trouble-free performance in a wide variety of approved UST and AST applications. The CoreDEF STP and ISO-Probe kit can be integrated with the TLS-450PLUS to operate seamlessly as a full system solution for DEF management. Unlike fueling products, DEF is extremely temperature sensitive, and will freeze when exposed to temperatures below 12 degrees or breakdown due to prolonged storage in conditions above 86 degrees. Also referred to as DEF Environmental Management, DEF Recirculation and Temperature Control is a TLS-450PLUS software package that manages DEF quality in the most extreme environmental conditions. DEF Recirculation monitors line temperature and activates a pump when the user-set threshold is triggered. 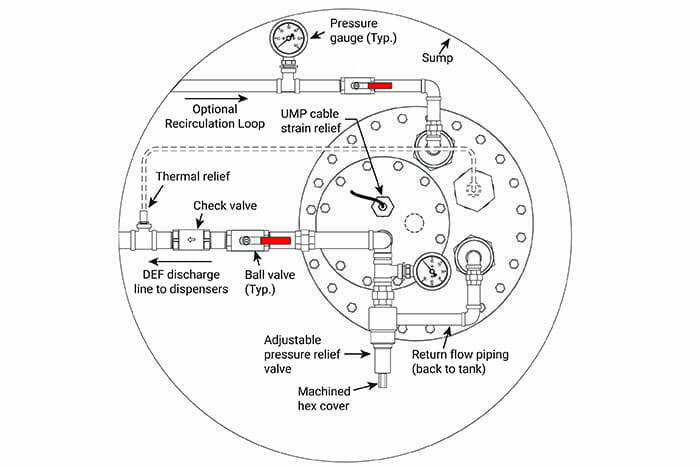 The pump drives warm product from the tank into the line and drives the cold product in the line, around the return piping loop, and back into the tank. 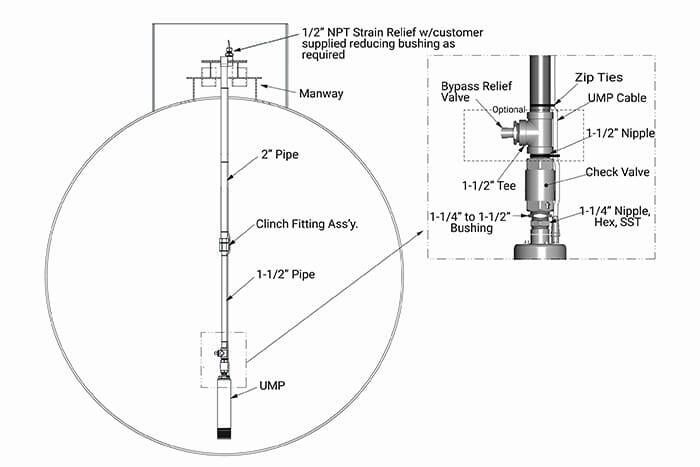 If your site contains long branching or extreme conditions, DEF Recirculation and Temp Control can also enable automated control of heat trace piping or in tank heating coils. Operators have the option to manually activate recirculation to prevent freezing in emergency situations.